We draw live digital caricatures and traditional paper caricatures in Calgary, Edmonton, Red Deer, Lethbridge, St Albert, Medicine Hat, Grande Prairie, Airdrie, Spruce, Grove, Leduc, Okotoks, Cochrane, Fort Saskatchewan, Chestermere, Beaumont, Stony Plain, Cold Lake, Sylvan Lake, Brooks, Fort McMurray, Lloydminster, Camrose and all other areas in Alberta. We also produce quality Caricatures, Cartoons and Illustrations for publicationas, magazines and newspapers as well as online use. We draw Gift caricatures and promotional illustrations in digital or traditional media. Our Custom Caricatures are loved by all. You can order one in minutes. Check them out! Hire a caricature artist for your next party or corporate function. Your guests will have a great time and take a memorable piece of original art home. 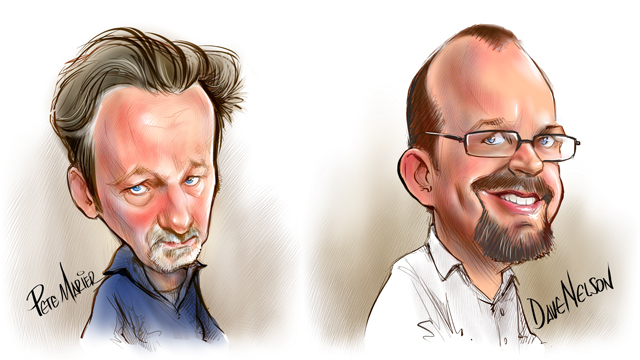 We also draw live digital caricatures in Alberta.